Do you have aluminum wire in your home? Here in Vancouver Metro area, most of the homes built from the mid-1960’s until the late 1970’s have aluminum wiring and need aluminum wiring repairs. If you own a house, townhouse or condo with aluminum wiring you’ve possibly questioned if it needs to be removed. The short answer is no, but this type of wiring does present electrical hazards that homeowners can’t ignore. 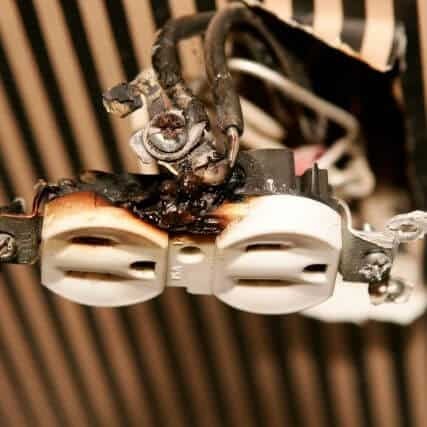 Also, many insurance companies will not provide or renew insurance coverage on such properties unless the aluminum wiring is inspected and repaired or replaced as necessary and a letter from a Licensed Electrical Contractor is issued certifying that the wiring is electrically safe. 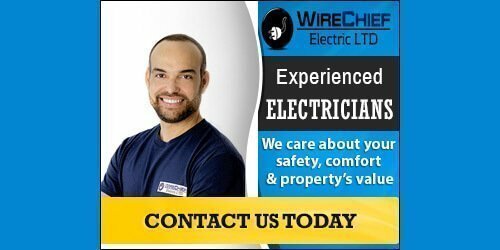 When you are in need of an expertly qualify electrician for aluminum wiring repairs in Vancouver area, contact us. We look forward to helping you protect your home and your loved ones. Aluminum wiring is an acceptable wiring choice if properly installed and used in the proper application. Problems began to show up where aluminum was used in branch circuit wiring. These are the smaller wires that deliver electricity from the electrical panel to the plugs, switches and lighting fixtures. Aluminum tends to oxidize when exposed to air, resulting in overheating, and eventual failure at the termination points. Since aluminum wire is softer and exhibits different electrical characteristics than copper wiring, particular attention is necessary to verify that appropriate devices are being used. As with all wiring, aluminum wire is safe provided appropriate connections and terminations are made without damaging the wire and with approved materials installed in conformity with the Canadian Electrical Code. Today, stranded aluminum cable is mostly used for main distribution wiring or feeder lines to bring electricity to the home. When houses are wired with aluminum wiring most insurance companies require a complete electrical safety inspection by a professional and licensed electrical contractor before policies are sold or renewed. Electrical modifications are generally needed and in some cases, complete rewiring is advised to reduce the risk of a house fire. Houses constructed between the mid-1960’s until the late 1970’s could have aluminum wiring. You might be able to check the wiring yourself. This may be done by looking at the electrical wiring visible, either between the open floor joists, in the basement, up in the attic, or at the service panel, check if the wire is marked with the work ALUMINUM or ALUM, AL, ALUM ACM, AL ACM. It involves replacing all the wall receptacles and switches in the house with ones that are specifically rated for aluminum wiring. “Decora” devices and Tamper Resistant receptacles are not available in a CO / ARC form. Availability is limited to standard devices. This option does not address connections in lighting fixtures. The most usual method of addressing this problem is bridging a new copper pigtail wire between the existing aluminum wiring and any electrical device. This connection must be done using very special wire connectors along with appropriate anti-oxidant paste to increase conductivity and eliminate corrosion. Clearly, this is the securest long-term solution to the aluminum wire dilemma. It is the most labor-intensive and expensive method, with investments ranging from $7,000 to $20,000 plus, depending on the size of the home. This option would help to protect the value of the home. Letter to the Insurance company. If you need a Vancouver electrician for aluminum wiring repairs, please call 604-800-1665 or complete our online request form. Incompatible receptacle leads potential fire hazard.